The domestic cyclocross season drew to a close this weekend with the prestigious National Championships taking place at Peel Park in Bradford. Racing took place on both Saturday and Sunday with the Elite Women’s and Elite Mens events concluding the weekend. The Women’s race was a rather one sided affair with overwhelming favourite Nikki Brammeier winning at a canter from Hannah Payton and Beth Crumpton. The absence of Helen Wyman, still in the latter stages of recovery from injury, meant that Brammeier had no serious challenge as she rode to her third senior title. Over in the men’s event Ian Field took his fifth senior title with relative ease from 2016 champion Liam Killeen and in third place Paul Oldham. The men’s event was bursting with talent from ace MTBer Grant Ferguson to veteran off road legend Nick Craig (for the record twice the age of Ferguson) and 3 Peaks superstar Rob Jebb. 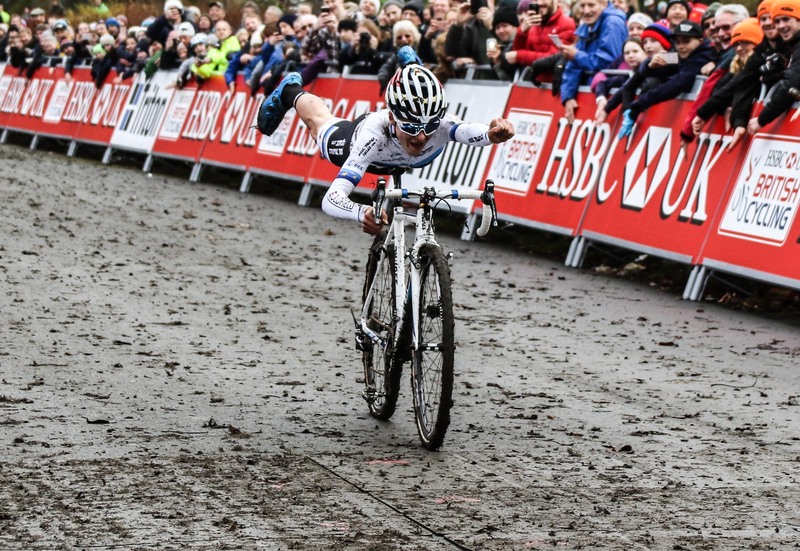 The Junior Men’s event was taken by U19 European Cross Champ Tom Pidcock who entertained the crowd with a superman ride over the line. I’ve a feeling we will be seeing a lot more of this over the coming years. Pidcock is a rare talent who has the potential to mount the very summit of this sport. 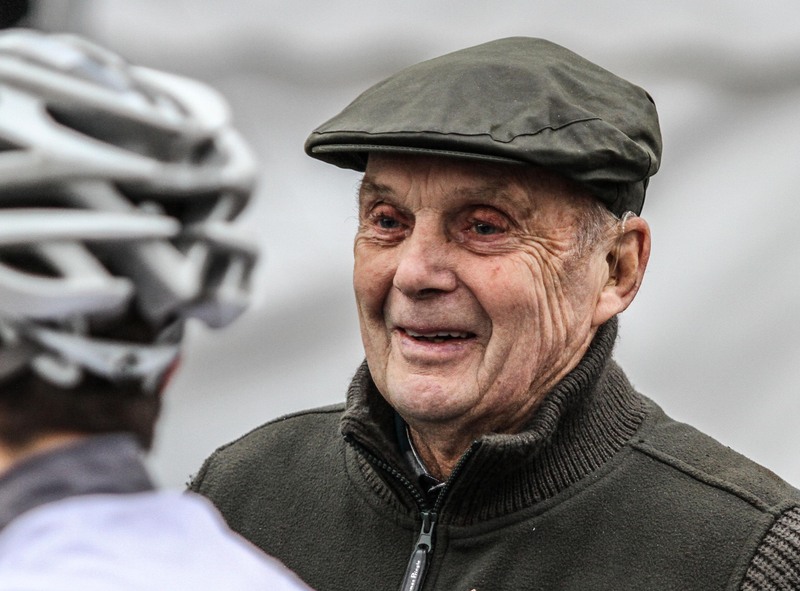 Finally a special mention for a dignitary of the day, British Cycling legend Brian Robinson BEM. if anybody doesn’t know Robinson was not only the first British rider to finish the Tour de France he was also the first one to win a stage. Just imagine with all that has happened, particularly recently with British Cyclings incredible success, it was Robinson who kick started all back in the 50’s. This entry was posted in cycling, Uncategorized and tagged "cyclo cross" cycling, "National championships" Bradford, bicycles, bikes, chris meads photography, chrismeadsphoto, chrismeadsphotography, cycle racing, cyclist, cyclo cross racing weaver valle cross north west league, cyclocross, mud, shootthebikerace, yorkshire. Bookmark the permalink.